Everything was amazing! I felt secure booking through David's and will definitely do it again! Dave's is the best! Third time we've used them to book resorts. Great experience from start to finish every time!! Thank you!! Rented points to go to Aulani in Oahu. Great trip. Very ease of use and great trip all around at a great price! Thank you for helping us!! Will definitely be a repeat customer. We stayed at the Kidani Village. The Savannah viewing was great! All the staff was very accommodating and friendly. The Sanaa restaurant was excellent for breakfast! We returned last week from Disney Aulani Resort. The booking process and check in were easy and free from stress. David's worked with us to find us the room we wanted during the time frame we needed. Our only complaint was that our vacation flew by too fast and next time we will stay longer. DVC Rentals was the easiest, smoothest way to reserve the best places in Disneyworld. We will definitely go through them again next time we plan a trip! Very friendly, efficient and thorough! Thank You DVC!! Many have saved THOUSANDS of dollars on their Disney vacations and you can too! No membership is required. We have, available to us, inventories of rooms located on Disney property at the Walt Disney World Resort Florida, Disneyland Resort California, Aulani Hawaii, South Carolina and the Florida Atlantic coast, for rent. You can reserve one of these rooms directly through Disney Central Reservations, or you can rent the very same room through owners of the Disney Vacation Club, at prices that will leave you asking "HOW CAN THAT BE?". These rooms, classified by Disney as "Deluxe Disney Villas", are all located within the Disney Vacation Club resorts. 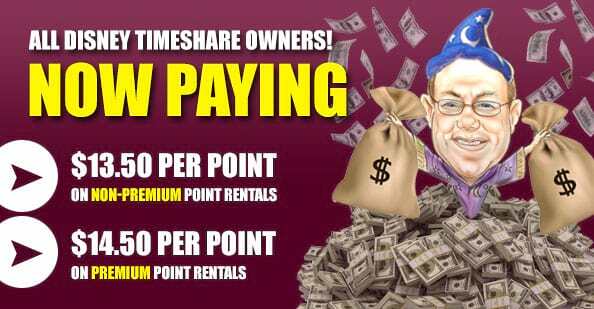 You DO NOT need to be an owner of the Disney Vacation Club or David's Vacation Club Rentals. The reservation will be in your name and you will check in at the regular Disney Resort arrival desk. Your room will be assigned to you by the Disney Resort Cast Members on your arrival. 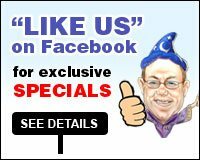 You will be treated the same as every Disney Resort Guest and you will have access to all of the same amenities and perks afforded to each and every guest staying at a Disney Resort. The biggest difference is: There will be no room bill to pay when you check out unless you charge purchases to your room using your Key to the World Card, Room Card or Magic Band (where applicable). Check in any day of the week and stay as little (2 days minimum) or as long as you like (up to 31 days). It is not necessary to arrive on a weekend and it is not necessary to stay a full week. 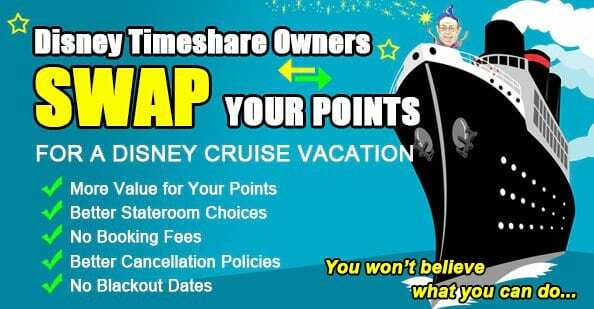 This is not a timeshare solicitation, no presentations are offered and your information is not shared with anyone outside of the booking owner and Disney (of course). 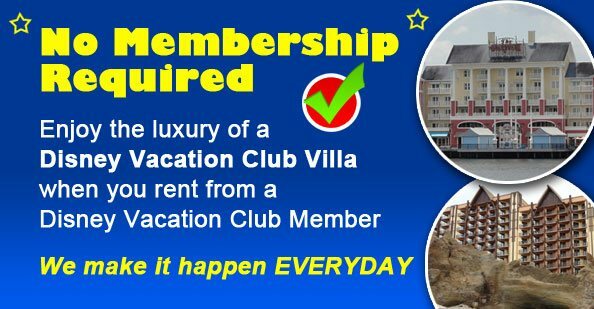 David's Vacation Club Rentals is the oldest, largest and most trusted source for rentals of Disney Vacation Club Villas, having served hundreds of thousands of satisfied guests and tens of thousands of Disney Vacation Club owners (also referred to as DVC Members), since 2005. Ready to stay at a Disney Vacation Club Resort? IMPORTANT INFORMATION REGARDING "MY DISNEY EXPERIENCE" AND "MAGIC BANDS"
The names and e-mail addresses you give us to put on your resort/room reservation must exactly match the names and e-mail addresses you have on your "My Disney Experience" profile and the names and e-mail addresses you have attached to any dining reservations. Do not attempt to link your room/resort and/or dining reservations unless you are sure your profile information is an exact match. The "My Disney Experience" and "Magic Bands" programs are outside of our rental agreement and any inconsistencies must be handled directly with Disney.